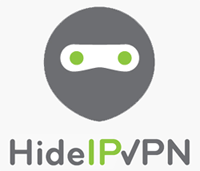 HideIPVPN: VPN provider finally launches its Smart DNS! At the beginning of the month, we announced you that HideIPVPN was going to launch its Smart DNS service. In this article, we explained to you briefly what Smart DNS was, as well as the difference compared to a VPN service. Well, good news, because it is now available! To use it, it is simple: if you have subscribed to the Premium VPN offer (which allows you to access UK and US services), you can use Smart DNS. Then, you can unlock websites like Netflix, Hulu and Pandora, thus on various devices (computers, tablets, Smartphones, video game consoles…). If you do not care about having a secured Internet connection and browsing confidentially on Internet, then Smart DNS is perfect for you! For further information about that, go on HideIPVPN’s official website. ← How to unlock and watch Good Morning America abroad with a VPN service in 2013?